As the saying goes, “More Family-Friendly, Less Anxiety”. Of course,Elite Partners, raise feet to agree. As a well-known x busy audit industry,employers need to constantly keep self-awareness, to never ignore the employer-employee relationship. This relationship should not solely be calculated upon personal interests of the company. 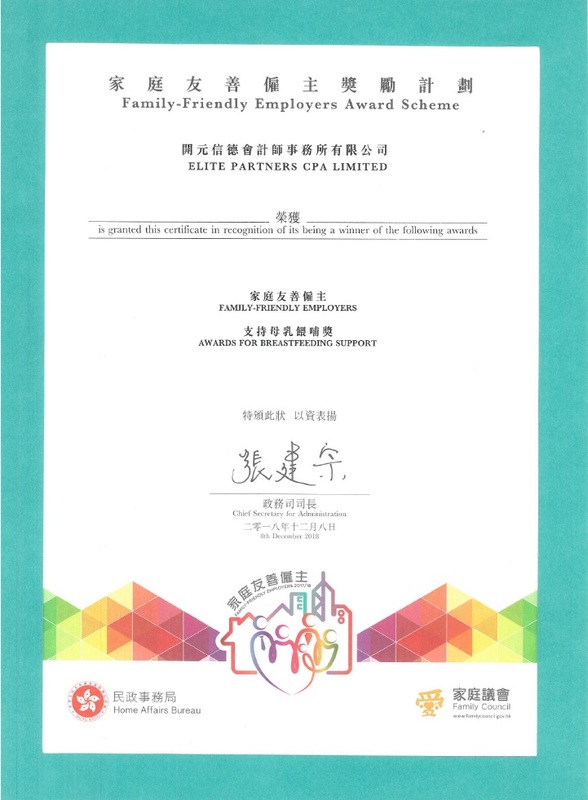 Working hard to maintain,and steadily growing, on December 2018, we received two awards from the “Family-Friendly Employers Award Scheme”hosted by the Government of Hong Kong Home Affairs Bureau and the Family Council; which is the“Family-Friendly Employers Award and the Award for Breast feeding Support” respectively. 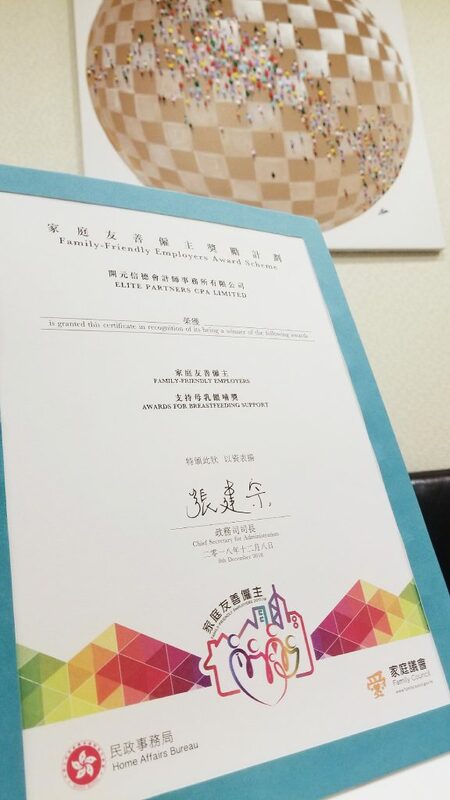 To raise awareness of the employers of the importance of family core values, and to foster a pro-family culture and environment. 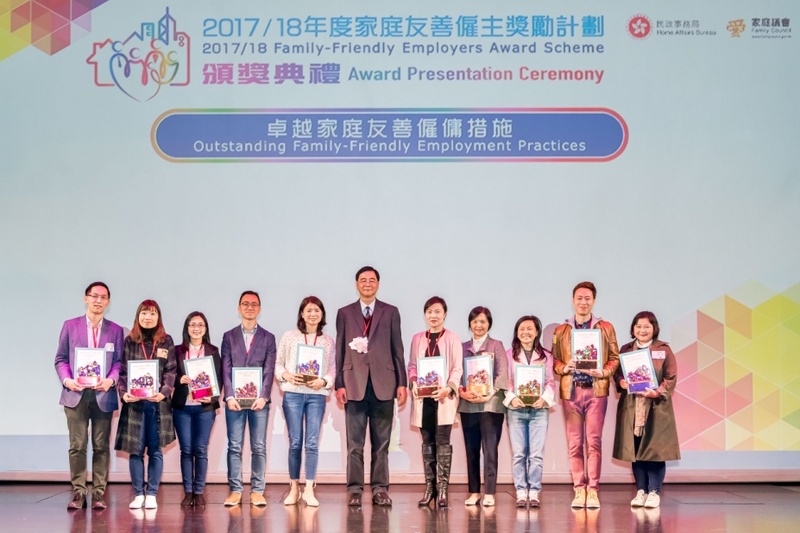 To give recognition to employers that demonstrate a family-friendly spirit and encourage them to implement family-friendly employment policies and practices. that allow employees to manage their time with due regard to their family commitments, e.g. flexi-working hours, flexi-working place, flexi-working arrangement, flexi-rostering, job sharing, etc. that accommodate the family or personal situation of the employees, e.g. child care or elderly care arrangement, compassionate leave, maternity leave/paternity leave beyond statutory requirements, family care leave, employee counselling services, occupational safety and health measures, etc. that bring direct and/or material benefits or assistance to employees and/or their family members, e.g. scholarships for employees’ children/grandchildren, insurance coverage for family members, complimentary offer of/discount on corporate goods or services, emergency financial support, etc. that promote work-life balance and family core values, e.g. 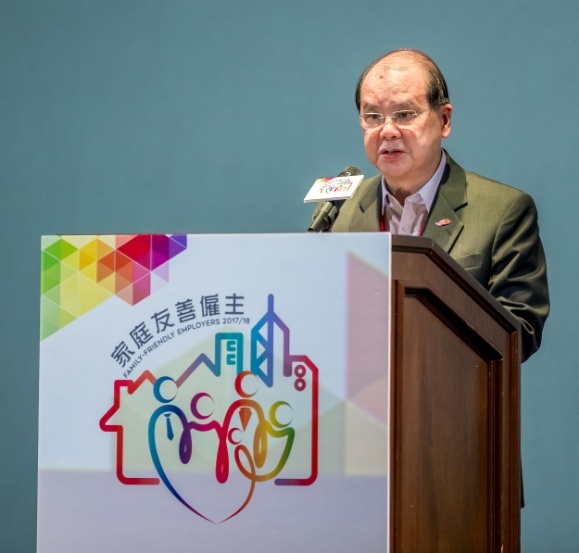 company trips,social gatherings, special family engagement events, such as parenting seminars, family recreational activities and”Bring-your-family-to-work” day, etc. for breastfeeding employees to express breast milk in the workplace in order to continue breastfeeding their children.